Boots are built to take care of your feet. They’re meant to keep your feet safe from the natural world and keep them comfortable as you go about you daily life. They aren’t, however, indestructible and therefore they require care. Here are a few ways to make sure your boots are always in tip-top shape for as long as they can be. 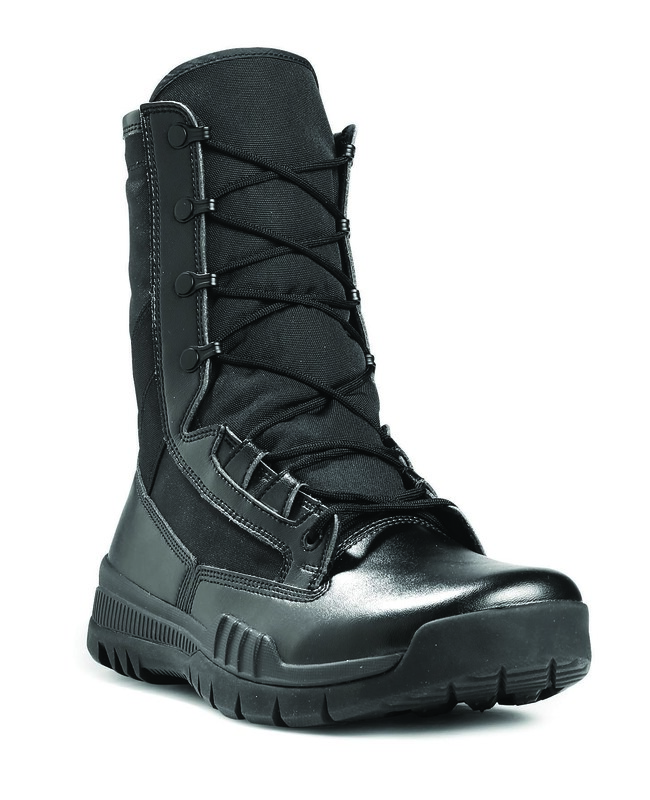 You’re going to want to replace your duty boots every eight to nine months. This is around the time that the soles of the boots, or upper part of the boots, become too worn for reliable safety. You certainly want to replace your boots before they start falling apart, which is going to be around this time frame. If you’re wearing boots that are more akin to a running shoe, such as Nike’s Special Field Boots, then you’re going to want to replace these boots every five hundred miles or so. While they will wear out faster due to the materials in the sole, they are typically more comfortable to wear on the average day. If you find that your boots are no longer comfortable, you may consider replacing the sole insert. One-way to increase your boots’ lifespan is to actually alternate pairs. Having a second or even third pair of shoes that you switch out daily or weekly can dramatically increase your shoe’s durability. It might also be worth picking up multiple pairs to wear based on the activities you typically perform. While hard leather duty boots can be necessary and comfortable, they may not be the best boots to go jogging in. Doing so could dramatically wear down your boots long before they would need to be replaced. Cleaning your boots should always be a priority, as it’s one of the easiest ways to make sure your duty boots stay in good condition. After a day of work simply brush away the dirt that’s accumulated over the boots; this can take approximately thirty seconds and is very easy. Additionally removing daily dirt build up makes overall cleaning and polishing that much easier. When you do a deep cleaning of your boots remember to remove the laces, as any sort of polish can damage them. A deep clean involves a soft brush, such as a toothbrush, and a nice leather conditioner if you’re wearing leather boots. If your boots are made of a different material, then a simple shoe-cleaning kit can do the trick. 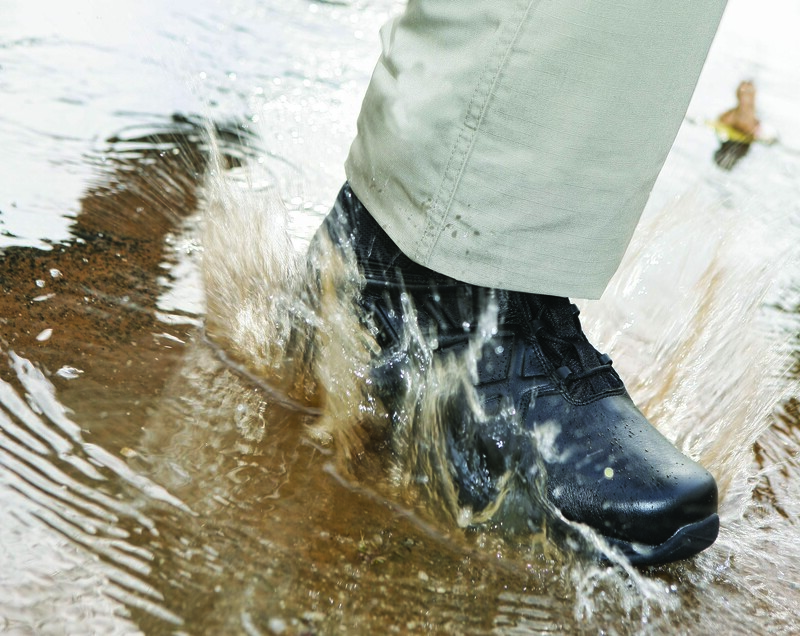 Let your boots air out, as leaving them outside in the sun can cause damage. With proper care you can have your boots retain their original durability long past their anticipated expiration date.